The 1987 World Series was played by the Minnesota Twins and the St. Louis Cardinals. Minnesota was victorious in a World Series that was both the first to be played indoors, as well as the first in which the home team won every game. 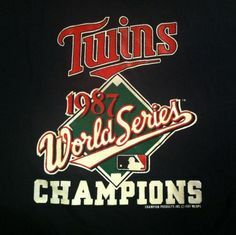 This happened again in 1991 (also a Twins championship) over the Atlanta Braves and in 2001 with the Arizona Diamondbacks defeating the New York Yankees.